Time to work on letter D! 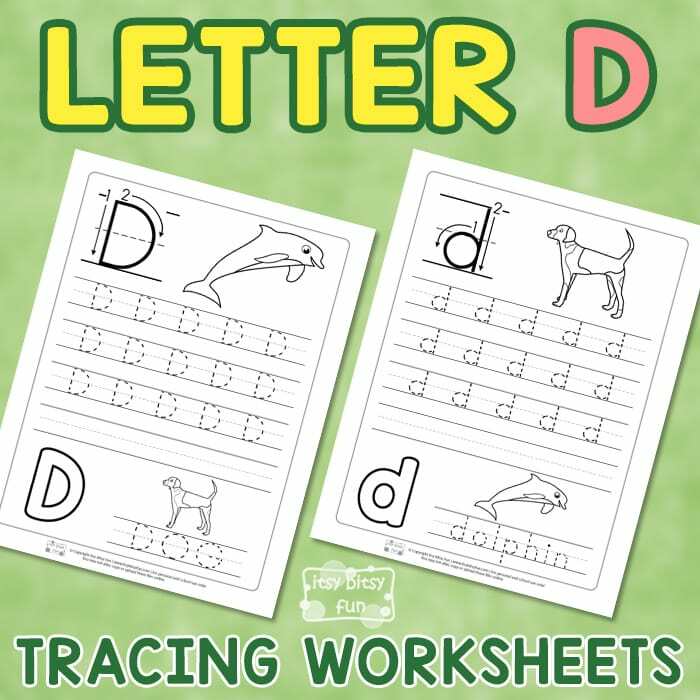 We got a cool pack of Letter D Tracing Worksheets for your kids to practice the 4th letter of the alphabet. This set will strengthen your kids fine motor skills and make them comfortable while writing the letter on their own. 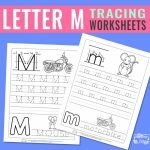 Because we know practice makes perfect, we’ve also gathered all our tracing worksheets in one place – from pre-writing to more demanding practice. 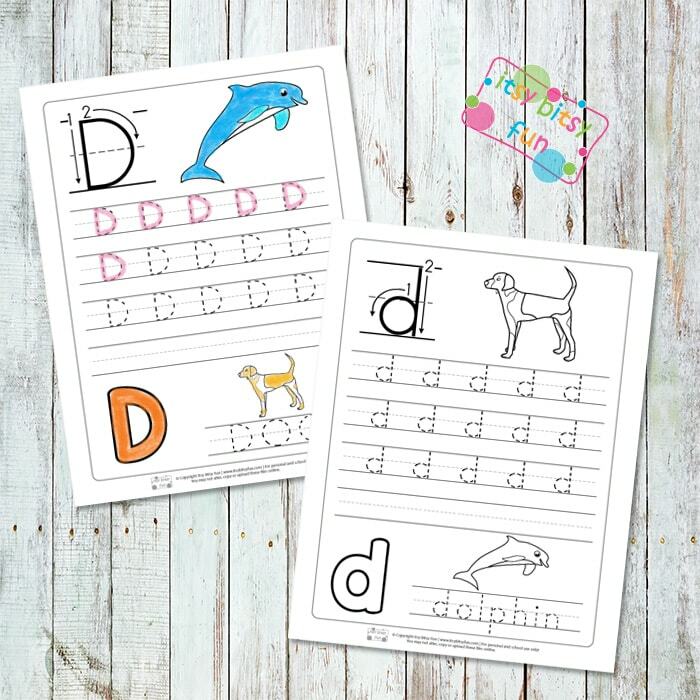 With this pack, your kids will learn to recognize and write the uppercase and lowercase letter D.
Not only will they practice their hand-eye coordination, but will also work on their penmanship. Learning how to write can be challenging for some students, and this is why this pack can be of help to build their writing confidence. 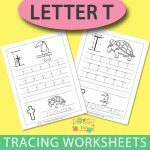 There are 2 letter D tracing worksheets in this printable pack. 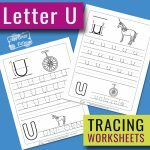 First page of the printable pack focuses uppercase letter D tracing. Kids will need to trace three rows of letter D and there is also an additional row for them to try to write the letter D on their own. It might look a bit wobbly in the first try but they will quickly master the letter. There is also the word “DOG” at the bottom of the page to trace. Second page to focuses on tracing the lower-case letters D. As with the first page, there are 3 rows with dashed D for kids to trace and additional row for them to try and write it down on their own. There is also the word dolphin to trace at the bottom of the page. 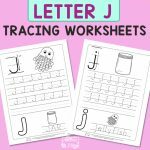 There are also elements to color in on both of the pages to make the letter D tracing worksheets more engaging. 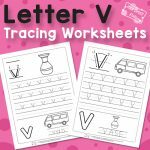 Get your Letter D Tracing Worksheets here.